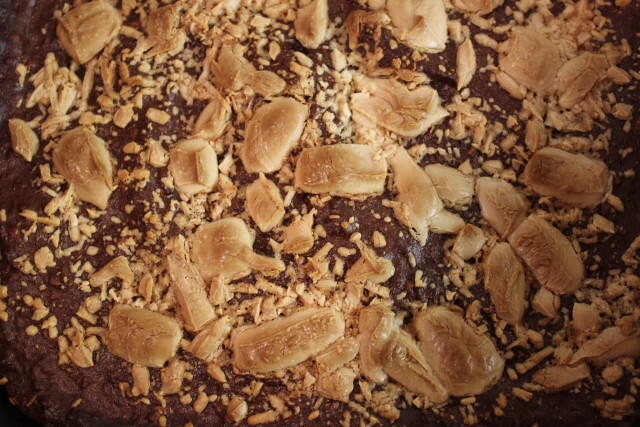 When I’m craving for candy this is my favorite recipe. Sometimes I use raisins instead of cranberries or the dates and almonds for peanuts and so on. You can adjust the recipe after your taste. 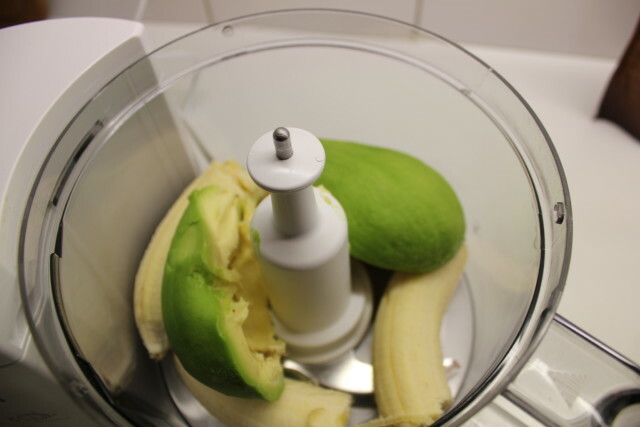 Mix the eggs, bananas and avocado together in food processor. Then add berries, peanuts and flour. Gently melt down the butter and the dark chocolate and stir it together. Then pour the butter and chocolate mix into the food processor and mix it with all the other ingredients. 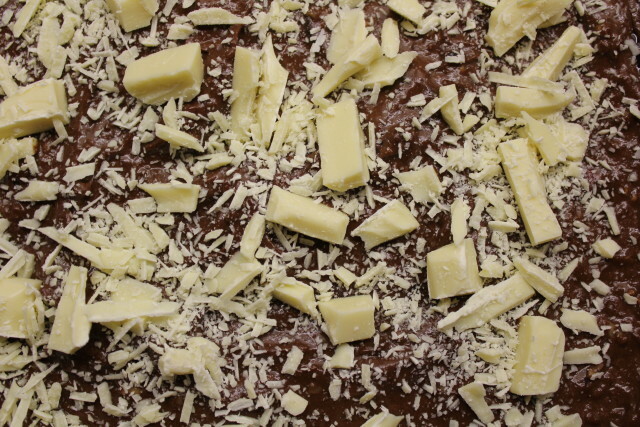 When all the ingredients (except the white chocolate) are mixed together you can pour the mix into a large greased baking pan. 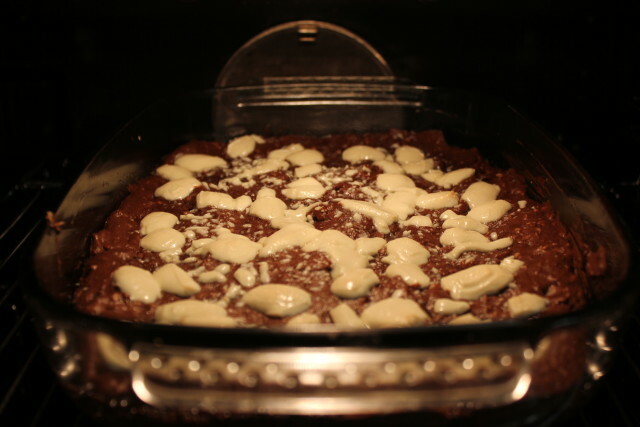 Place the white chocolate on the top and bake for 30-35 minuates in preheated oven at 175°C (350°F).